Casserole, ca. 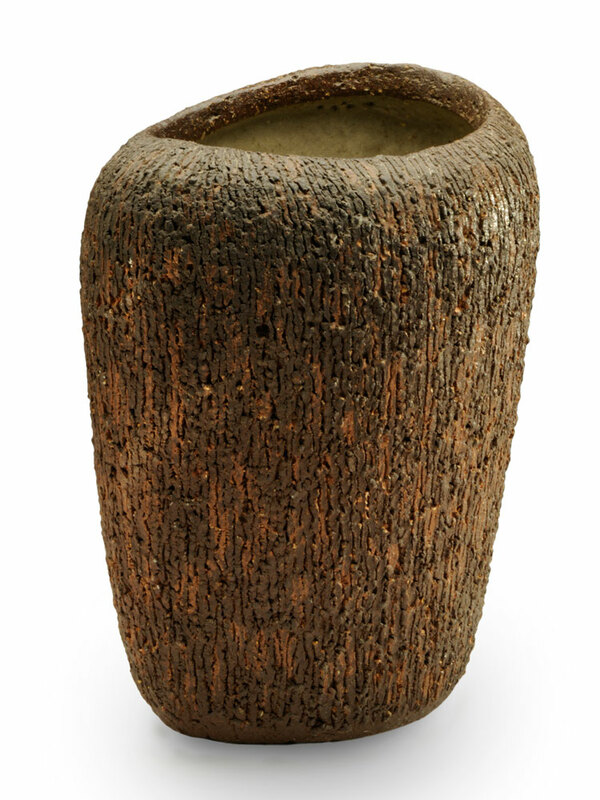 1975; glazed stoneware, flameware; 4.5 x 14 x 14 in. What becomes a legend most? Karen Karnes is more than admired in the ceramics world; she is beloved. She has won respect for the exceptional quality of her work and for her generosity of spirit as a teacher and an artist. "A Chosen Path: The Ceramic Art of Karen Karnes," curated by Peter Held and first presented at the Ceramics Research Center at Arizona State University before embarking on its two-year national tour, is a reminder of what a pleasure it can be to encounter, in person, the full range of work created by such a figure. Ceramics historian Garth Clark's foreword to the catalog (edited by Mark Shapiro and featuring an outstanding group of writers) goes right to the heart of the matter by emphasizing that Karnes is a modernist first, last, and always. 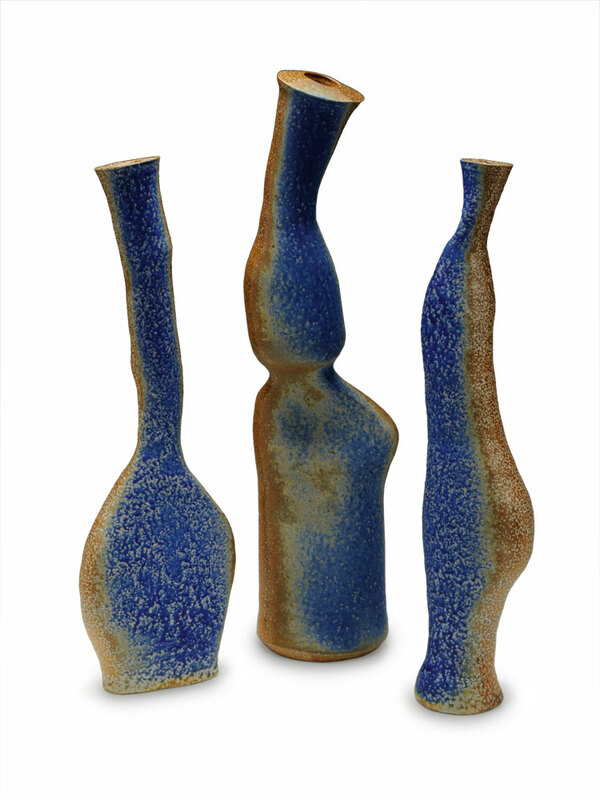 From a few striking pots made six decades ago while she was in Italy to recent works such as Three Forms (2002) that blend the functional and the figural, there is an artful simplicity in her work. It's not just pure modernism but purist modernism - appealing, complex, and powerful. The biographical facts that make Karnes so fascinating, such as her upbringing in a politically progressive family and, in particular, her time at Black Mountain College and at the Gate Hill Cooperative at Stony Point, New York (with M.C. Richards, John Cage, and David Tudor), don't necessarily help all that much when one is confronted with her work. Karnes is not identifiable as a Black Mountain College or Stony Point ceramist beyond what Clark calls her "restless, reinventing avant-garde spirit." In spite of her admiration for the Abstract Expressionist painters, she is not an Abstract Expressionist either, at least not in the Peter Voulkos fashion. 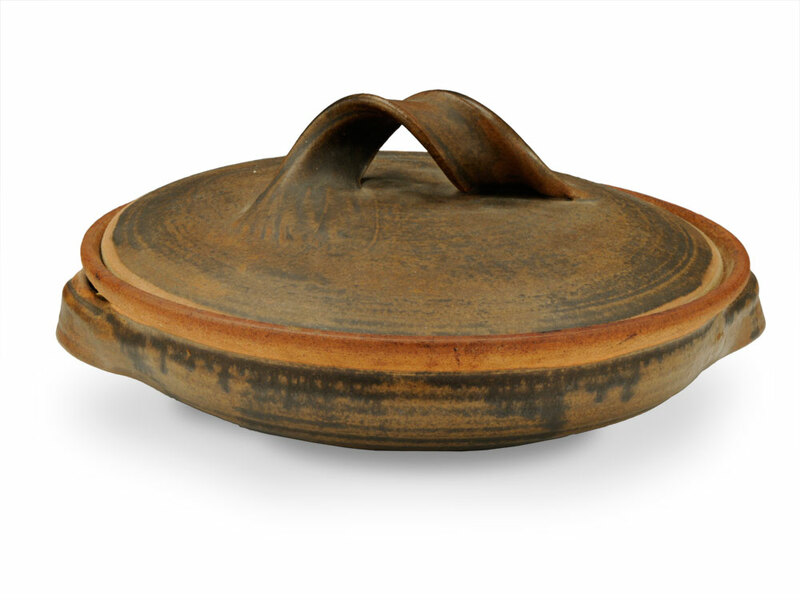 Some of her earliest pots could be mistaken for work made by others; they are well-executed examples of mid­century modernism that only hint at her artistic personality. As the Karnes style emerges, with its full volumes, carefully gauged proportions and profiles, and enlivening touches ­- the loop-de-looping handles on her classic casseroles, the miniature landscapes on the cut lids, the openings on her boulder forms, the lines that move across the winged vessels - so does the character of the maker in all its force and subtlety. There can be mystery, as in surface slits that suggest hidden secrets. And there can be humor, too, as in one outrageous work playing off male genitalia. More striking than such playfulness, however, is the overall sensuality of her work, animated as it is by echoes of natural forms and the human body. It was entirely appropriate that from the many impressive works in the retrospective, a small Covered Jar (ca. 1979) was selected for the catalog title page. 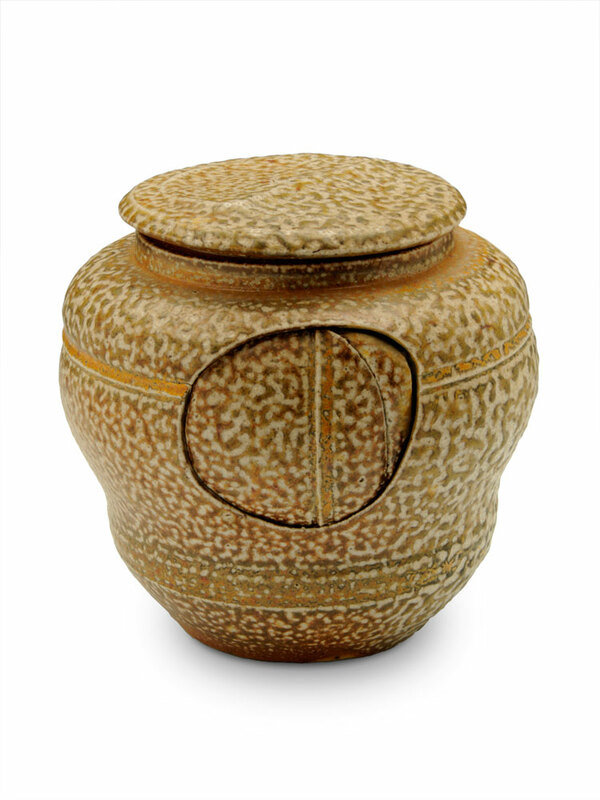 The pot has a circular section punched out of its side and reattached, so that a horizontal band is turned into a vertical stripe and the surface gains sculptural depth in a way that is at once odd, ingenious, and unforgettable. In the gallery, the jar was set not on a grand pedestal, in show-offy isolation, but among a group of pots, suggesting a kind of aesthetic democracy rather than ceramic diva-hood. I would be happy to see one of Karnes' great winged vessels at the top of the grand staircase in the Louvre replacing Winged Victory-with Audrey Hepburn gliding around it in her red gown from Funny Face. Maybe that is going too far. But the winged vessels, like the small jar, and like the exhibition as a whole, beautifully demonstrate Karnes' gift for combining the functional and the sculptural in a completely personal, completely satisfying fashion. "A Chosen Path" is at North Carolina's Asheville Art Museum through June 26, then travels to New Hampshire's Currier Museum of Art (Aug. 27 - Dec. 3), Wisconsin's Racine Art Museum (Jan. 31 - May 27, 2012 ), and California's Crocker Art Museum (Jun. 23 - Sep. 30, 2012). Covered Jar, ca. 1979; salt-glazed stoneware; 6 x 5.5 x 5.5 in. 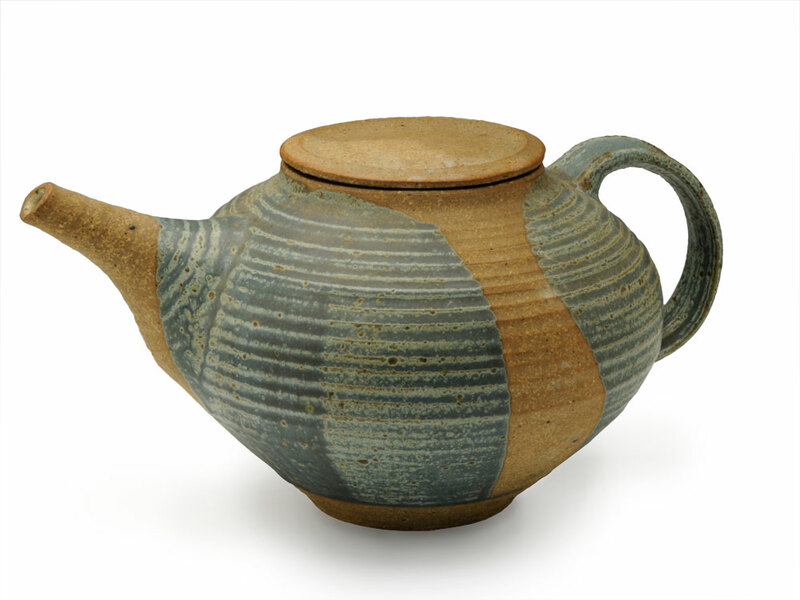 Teapot, 1957; glazed stoneware; 5.5 x 11.5 x 8 in. At the Fuller Craft Museum, curator Fo Wilson explores digital technology in contemporary craft.